I applaud your courage to admit openly and publicly the mistake that was made with No Child Left Behind. It is unfortunate that healthy reflexivity is almost entirely absent from policy making today. Perhaps, if all policy makers as well as scholars are more open to reflect and possibly admit their mistakes, we could live in a different world today. However, my post is not about self-reflexivity, it is about victims of testing. I wish to devote this post to orphans in Russia who have suffered from mistakes in testing and evaluation. I would like to share two short real life stories that captured my heart and mind. Galina is now about 28 years old. Her family abandoned her the day she was born. Galina was born with some physical disability. At the young age, she has been tested, evaluated, and diagnosed as “mentally retarded.” Do you know what that means for a Russian orphan to be labeled “mentally retarded”? It means a child will get minimum if no education; until the age of 18th, he or she will be living in an orphanage with minimum contact with the outside world. When these children reach their 18th birthday, they will be transferred to a mental asylum where they will spend the rest of their lives literally behind the walls. They will not get married, have children, get driving license – they will have almost nothing. Galina ended up living in asylum. However, curiosity and inner strength encouraged her to seek for a way out. In fact, Galina was an intellectual and a talented human being. She wrote a petition for the hospital administration asking to live on her own. It took three years for the administration to consider her appeal. Finally, she was granted a permission to live on her own, which is a very rare and an extraordinary case to begin with. Typically, if you are labeled as mentally retarded once, there is no way out. People do not like to admit their mistakes. Now, Galina is studying in a college and she has aspirations for higher education. She is a talented artist and she loves to draw and paint. She loves travelling and exploring the world. Galina is a protagonist of a recent documentary ‘Ten Percent’ by Elena Pogrebijskaya. Galina’s case is extraordinary and cheerful. However, it is depressing and frightening at the same time. Just imagine if Galina, while being an intellectual and a talented human being, was placed in asylum for being “mentally retarded,” then how many other talents did we suppress and lock in asylums? How many lives full of potential, discovery, curiosity, and exploration ended up in the mental hospitals? Galina, for sure, is not the only one who has been wrongly diagnosed by the virtue of human ignorance or human laziness to double check the “finding” or flaws in seemingly “objective and scientific” testing and evaluation, or human cruelty – or altogether. A good friend of mine, who is also an orphan, was called into court by the orphanage administration who wanted to prove that he is mentally retarded. For orphanage administration, it is sometimes easier to deal with “mentally retarded” as they get more funding from the government and at the same time they have less accountability – there is no need to provide education or provide housing. All of “mentally retarded” orphans will be transferred directly to asylum. Some people helped my friend to prove in the court that he is not mentally retarded. As a result, he was not placed into asylum. However, he had to live almost 6 years on the streets, as he did not have any housing. Despite the hardship, he did not lose his humanity. He managed to get a job, he is currently working in social services and he helps elderly people. Half of his salary goes to the government for renting a room to live. He applied for higher education for three executive years and finally got accepted. Remember, people wanted to prove him mentally retarded. What would have happened to Galina if she did not have enough courage to defend her rights? What would have happened if there was no one to help my friend in the court? Both of them would be locked in an asylum with no rights to education, travel, marriage, and work under the justification of psychological and IQ tests’ results. These are just two cases that demonstrate how wrong our “scientific” tests can be. The same applies to school tests, however…. How many lives did we lose for students committing suicides because of failing test scores? How many students with low tests scores did we discourage to further pursue knowledge? How many people in this world did we make feel bad and insignificant about themselves because of low tests scores? How many people suffered because of the incorrect testing and evaluation? How many victims of testing are out there? Devoted to all the victims of testing….. It was a warm sunny day in 2005. I was wearing my suit and tie. The day before, I followed advice of my English teacher and did nothing except relaxing. My classmates and I went to another school to take our first Unified State Examination (USE). I had my ID, a black gel pen, some snacks, and a dictionary (just in case) in my backpack. I had spent many hours with my English teacher on holidays and weekends and a few hours with private tutors, which together granted me with confidence for the test. 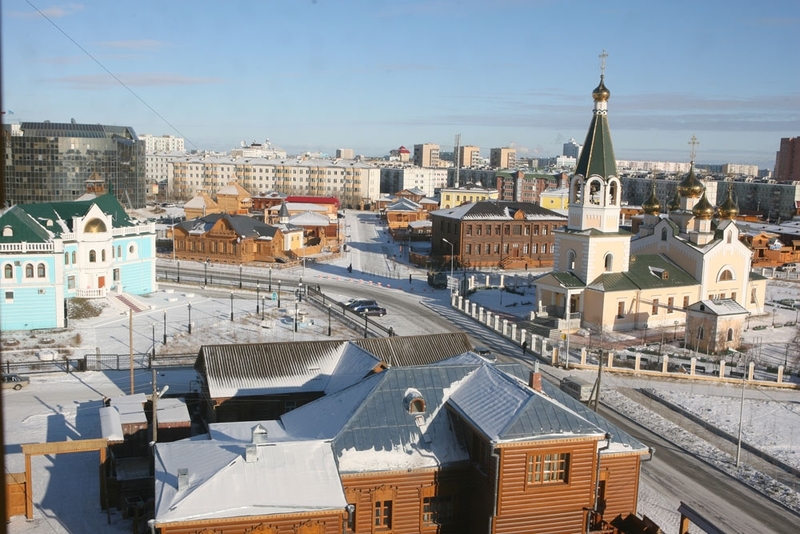 In 2001, USE was launched as an experiment in five Russian federal districts: Yakutia, Mari El, Chuvashia, Samara, and Rostov. In 2002, sixteen federal districts were added to USE. USE expanded to 47 districts in 2003, 65 in 2004, and 79 in 2006. Finally in 2008, the experiment reached every Russian school. Starting from 2009, the USE became an official tool for finishing secondary education and starting higher education. Certain regulations allow students to take USE before or after the announced dates. The state examination is called unified because its results are used both for graduation from high school and for entrance into higher education. The USE consists of parts A (questions with multiple answer choices), B (questions require short written answer), and C (one or more writing assignments). A and B results are coded and processed by a computer. Qualified experts assess the C part. Russian language and Mathematics are mandatory subjects on USE, which are required for graduating high school. Three or more subjects are needed to apply for university admissions. The universal examination is a recognized educational trendsetter in Russia. Universities are ranked by freshmen USE results. Teachers are awarded by their students’ USE results. Schools are rated by USE results. Private tutoring is proved to be a highly effective and marketable service for USE preparation. The USE assignments have transformed and continue to define school curriculum. Numerous debates have taken place since the introduction of USE in 2001. The USE is expected to provide equal and just opportunities for every citizen of the Russian Federation to apply for any university admission if he/she meets requirements. However, students of nomadic schools (same citizens of Russia) who are striving to preserve their native endangered language, cannot meet requirements since their tutors cannot train them thoroughly. All tests, except foreign language, are in Russian. In 2009, the Russian Supreme court declined a claim for USE organization in other languages of the Federation. Children of native peoples left out of the system and obliged to study all subjects in Russian for getting a university degree. Moreover, foreign language will be the third mandatory USE as of 2020. 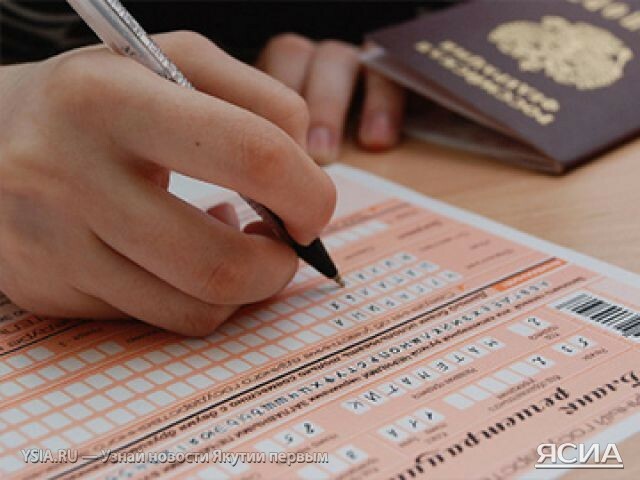 In 2012, official reports stated that 2.9% Russia’s students failed the USE. Students who plan to apply for Arts and Humanities take the same Mathematics USE as future engineers. The entire secondary education system is designed to prepare students for the standardized final testing. The USE caused a birth of State Final Assessment (SFA), which requires ninth-grade students to take two mandatory and three optional exams. Counselors state that exams are stressful for teenagers. There is some sense in it. Pressure starts at school when teachers motivate you by scaring of possible failure. Some critiques point out that USE has caused corruption in schools located in remote areas where students score higher than in cities and towns. Nevertheless, it has reduced corruption in university admissions. Students often use the 10-time-zone magic of Russia: students who start USE in Asian Russia help their colleagues in European Russia by displaying answer forms on the web. In 2012, 167 students from 46 federal districts were caught and their results were annulled. As the Unified State Examination is widely criticized, the Education and Science Ministry makes an effort to further develop the test and address some of the critique. I think that the USE should be offered in all languages of the Russian Federation to preserve native languages, to provide equal access to education, to follow the state Constitution, and the article 26 of the Human Rights Declaration. Snow, Freeze, and School: Knowledge or Health? My first academic year at Lehigh University is coming to an end. During the first semester, I was adjusting from Russian system of education to an American one. I was introduced to many new things. For example, I received all course plans with lists of reading material and assignments on the first day of classes, which is different from the Russian higher education system. It was new for me to have online classmates who study from other parts of the world and never see them physically in class. I learned that an online class method could be beneficial both for students and professors. If one of them is sick, he or she can join online and participate in class discussions. However, perhaps the biggest surprise of being in an American education system was school closure regulations related to weather. I enjoyed winter in Pennsylvania. It was not as cold as in Yakutsk. Usual winter temperature in Yakutsk is -49F. Due to extreme cold temperatures, we have Schools Closing Days regulations. 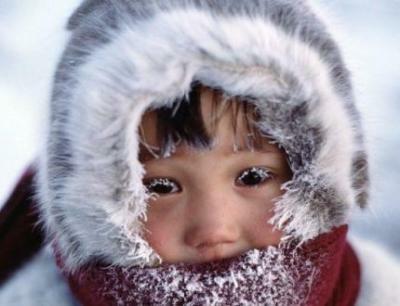 According to Yakutsk Department of Education, secondary schools shut down with the following order: students of 1-5 grades don’t have classes if temperature is -49F, students of 1-8 grades – -54.4F, students of 1-12 grades – -58F. These regulations refer only to students of secondary education. University students have classes in any weather. Other federal subjects of Russian northeast also have similar regulations for secondary schools, but may differ in temperatures. I was surprised when higher education institutions got closed because of the snowfall. It wasn’t cold – it was just snowing. Even flights got cancelled or delayed because of the snow. Meanwhile, snow can’t stop Yakutia airlines pilots! For the first school shut down, I found it weird, but I enjoyed spending the day in my room. For the 4th time, students could start thinking about costs of each snow day since most of them pay for their education, particularly, about the price of each lost class (See more in post by Sarah Glickstein https://educationpolicytalk.com/2014/02/15/snow-days-not-snooze-days/). 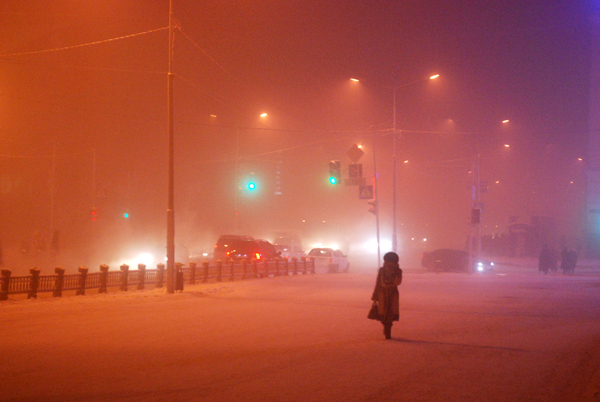 Winter in Yakutia is a real challenge. Adults and children catch a cold very easily, which can last for several weeks. 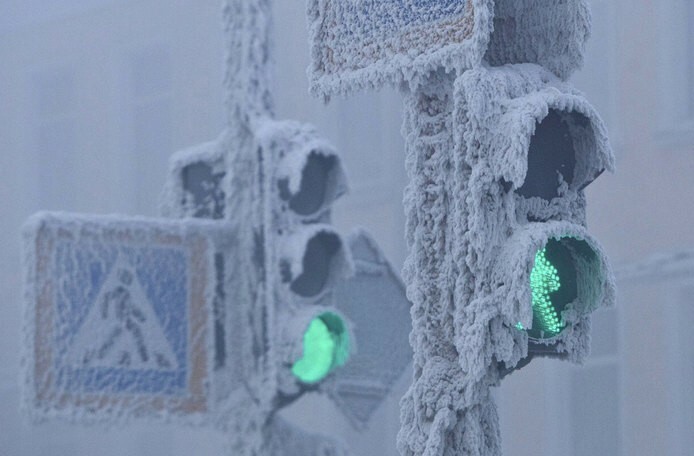 Some think that if you are from Russian northeast cold temperatures are nothing to you. 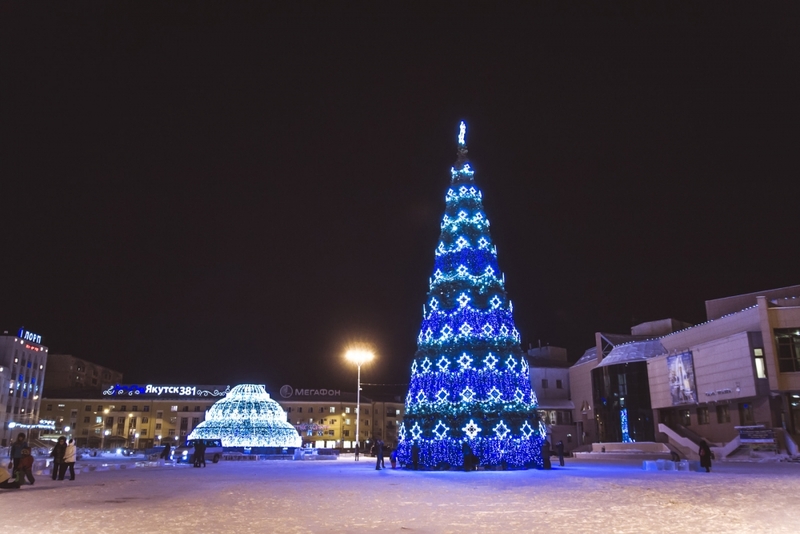 I understand that peoples of Siberia got used to cold and learned how to survive in these extreme conditions. However, this doesn’t make us different. We are still people with the same rights. Winter in Yakutia is hard (cold weather, short sunny hours, wearing a lot of clothing, high-cost fruit and vegetables, 15-minutes-bus-wait when its -50F) and risky (e.g. a heating system is out, a broken car on way to other village, days without hot water, etc.). Farmers collect natural ice from lakes and rivers for domestic consumption and keep it under ground for summer use (ground is filled with permafrost). Some American states have school closures due to extreme heat and humidity. Heat or cold, it happens annually and teachers develop their own ways of dealing with harsh weather conditions. Some turn to online education, while others adjust school schedules. In the case of Russian northeast, it would make sense to reform the academic year by moving the two-month holidays from summer to winter, while developing curriculum for the whole summer with one-month-holidays. This also can be applied to higher education and other areas. The reform must be widely discussed, but during winter, it could prevent catching colds, families might travel to warmer places like Sochi, and nomadic schools can have specific benefits as well. Being simultaneously an Asian, Sakha (Yakut), and a citizen of Russia, I face unhidden interest about my homeland and my origin. Influenced by centuries-long stereotypes about Russia, many people do not know how diverse Russia is. It’s almost my daily, unpaid duty to reveal the diversity of Russia to others. When my international friends talk about my country, they use terms “Russia”, “Russians”, “Russian language”, “Russian culture”, imagining one notion instead of many. For instance, not many people use the country’s official name – the Russian Federation. However, only Federation embraces multinational, multicultural, and multilingual Russia. The Russian Constitution starts with: “We, the multinational people of the Russian Federation, united by a common fate on our land, establishing human rights and freedoms, civic peace and accord, preserving the historically established state unity…” However, this diversity often remain invisible. The Sakha Republic (Yakutia) is a unique and special in every way. 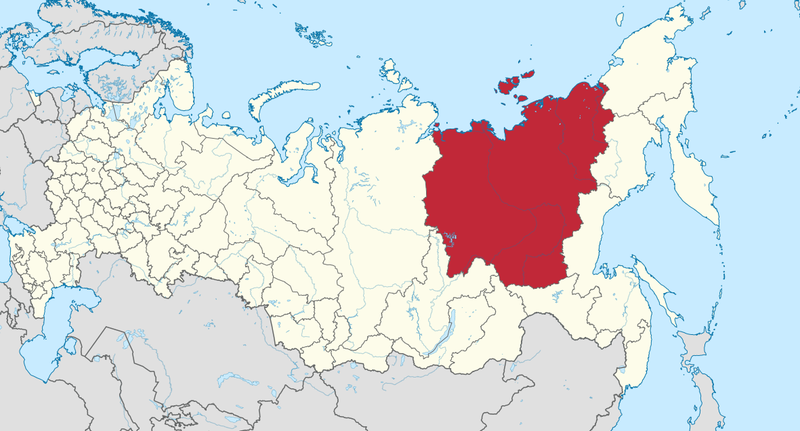 First of all, Yakutia is the largest federal subject of Russia by its territory and covers three time zones (1/5 of Russian territory, the Sakha Republic territory equal to five times of France territory). Yakutia is a home to several indigenous ethnic groups of Siberian north with their traditional lifestyle, culture, and education. According to 2010 Census results, 403 nomadic families with 782 children live in the Sakha Republic. 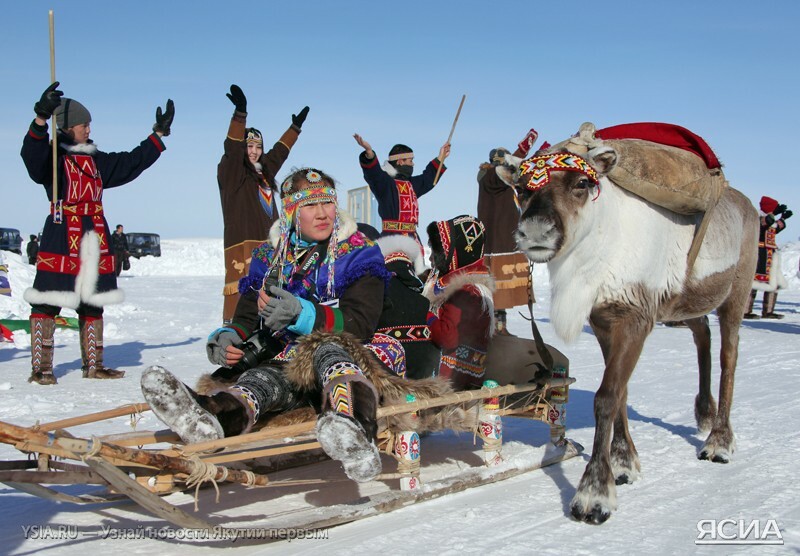 Reindeer husbandry is the main occupancy of nomadic families. In addition to traditional family education, there are 13 nomadic schools covering 180 children. In extreme conditions of the Russian north, nomadic schools are designed to follow reindeer migration routes and provide access to education for children of native Siberians. For reindeer winter routes nomadic schools have buildings, for summer routes they use tents. These schools are supplied with compact computer, chemistry, physics, and biology labs. The curriculum includes classes of native language, Russian, national history, national culture, traditional ways of hunting, fishing, reindeer husbandry, environment protection, etc. Learning of the native language is one of the important goals since all languages of northern peoples are included in the UNESCO Atlas of the World’s Endangered Languages. UNESCO and local government play key roles in nomadic schools development. A teacher of the nomadic school is required to speak a native language, to be able to teach several subjects for children of various ages, to know traditional nomadic way of life, and be ready to face severe life of the Arctic. In 2006, the Yakutia Teacher Training Institute has introduced a special two-year program (with an option of distant education) to train teachers of natural sciences and mathematics. Some northern children of Russia attend boarding schools in towns away from their families and traditional way of life. Children have access to the radio, television, and, in some places, to Internet. Not all of these children would like to return and continue traditions. Some of them dream to live in town, to get a university degree, to travel, etc. Today, an International Arctic School project is being developed by a group of experts from Yakutia and it is undergoing a process of discussion. The international arctic school is expected to provide a university level degree with international standards to students of arctic regions. It is proposed to build an environment-friendly school in close proximity to the native populations. Notwithstanding many positive outcomes, Russia’s indigenous people continue to face serious issues, including transport, healthcare, etc. I believe that all native indigenous people of the north should be granted a special status; laws and programs shaping this status should be designed together with representatives of Evenk, Even, Chukchi, Dolgan, Yukagir and others to ensure their survival and development in the future. Federal Law N-83 FZ activated the process of commercialization of public education that brought so far only uncertainty and frustration for Russian society. Certainly, there are more questions surrounding the reform than answers. Yet, it is becoming clear that the reform will have a major impact on school curriculum and family budget. The law guarantees to provide basic education for free. However, people express fears that fee-free curriculum will be cut down to a bare minimum. One concerned parent explained that experimentation with the new law in her child’s school has resulted in narrowing down of the fee-free educational program to the following subjects: two hours of math, two hours of Russian language, three hours of physical training, and three hours of religious studies weekly. The “free program” is so basic that students have no choice but to attend fee-based courses in order to gain the necessary knowledge. Some reports suggest that teachers force their students to attend fee-based courses and give low grades to those students who do not obey. However, not all families can afford to pay for the courses. A price list posted on one of the Internet discussion forums states that parents have to pay a monthly fee of 500 rubles (15$) for general subjects (e.g., chemistry, biology, literature) and 1000 rubles (30$) for foreign language lessons. Parents are in panic since they believe the reform will hit their family budgets dramatically. Given the fact that average monthly salary in Russia is about 500-800$ (and many earn considerably less), allocating extra 200$ for a “proper” education is a significant burden on families (these 200$ do not include additional expenses, such as school uniforms, textbook materials, school repairs, and so forth). Clearly, the low-income families will be the ones to suffer the most. Surprisingly, the government has not yet attempted to clarify this chaos of opinions. Although the official website of the Ministry of Education has devoted a separate page to the new reform, it only includes the text of the law and some additional normative documents. Only three news and press releases are devoted to the reform and they all date back to 2012 or earlier. It seems that government is not ready to take an affirmative stand on the issue and is only observing the evolving situation from a distance. Meanwhile, some activists are beginning to unite their efforts in opposing the reform. For example, there is a public initiative of concerned individuals called “Civil Initiative for Free Education” that boycotts the new law and regularly organizes demonstrations. There are also those who collect signatures and write petitions to stop the reform, as well as many others who are creating their smaller Internet communities. Their main concern is that the new law will lead to raising “a generation of dummies” and “grey masses that can only read and write, but not think.” Therefore, the negative impact of the reform is predicted to go far beyond the curriculum and family finances. It is believed that in a longer term the law will have a severe affect on the overall education level in the country.